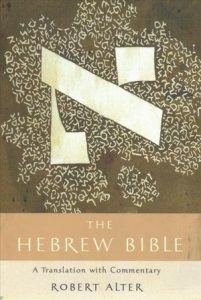 New Translation of the Hebrew Bible Removes Christological References – Zero Equals Two! “Alter says it was the ‘very high level of artistry’ in the language of the Bible that drew him to the massive undertaking. ‘The existing English versions simply didn’t do justice to the literary beauty of the Hebrew,’ he says. As he worked, Alter found himself removing ‘Christological references’ in the existing English translations. Previous Article← Happy Birthday to the British Museum! Inference can be a major problem when studying and decrypting ancient or even pre-postmodern texts. “Alt-Right Christianity” (e.g., Christian Identity, British Israelism) is even weirder— adhering to a Semitic and Jewish religion with a Jewish Rabbi as the central savior figure while simultaneously adhering to an anti-Semitic and anti-Jewish ideology. The amount of mental gymnastics that Christian theologians and intellectuals will go through to attempt to win in online debates, when I’ve encountered them, is mind boggling. Crowley was correct when he stated that the Low Church Protestant version (e.g., Plymouth Bretheren) of the textual readings was the correct reading if one wishes to be a Christian, see: “The Principal Of Satan In Thelema” on YouTube, a great video. one might pose that any body of doctrine that survives over long stretches of time will be interpreted differently along the way, reflecting the perspective of the cultures practicing them. I daresay that pre-Pharonic Egyptians would be utterly shocked by the theology of the Middle Kingdom let alone Ptolemaic period. we’re glad to see that the Roman Catholic stance has shifted to one stating that thew Jewish people have always been God’s people and are in no need of conversion or redemption. as per the original divisions of Christianity from the mother religion — well,that happened during centuries of profligation of Mystery Cults of which Christianity appears to have been a textbook example of.